Melania Trump broke sharply with her husband on Saturday, after the president maligned NBA star LeBron James' intelligence on Twitter late Friday night. The first lady praised James for his work with children, even saying she is open to visiting the school for underprivileged children he founded in his hometown of Akron, Ohio. The first lady's platform, "Be Best," is all about encouraging children to conduct themselves in an honorable manner, and she has made promoting children's welfare a key piece of her time in the White House. On Saturday night, the president took to Twitter to bash James following a Monday night interview James did with CNN's Don Lemon. The interview was intended to discuss the opening of the school LeBron helped found, but the conversation quickly turned political. LeBron said the president has "used sports to divide us." Mr. Trump tweeted, "Lebron James was just interviewed by the dumbest man on television, Don Lemon. He made Lebron look smart, which isn't easy to do. I like Mike!" Last month, when The New York Times published a story claiming Mr. Trump became frustrated when the first lady's TV was turned to CNN instead of Fox News, Grisham issued a statement to CNN saying the first lady can watch "any channel she wants." 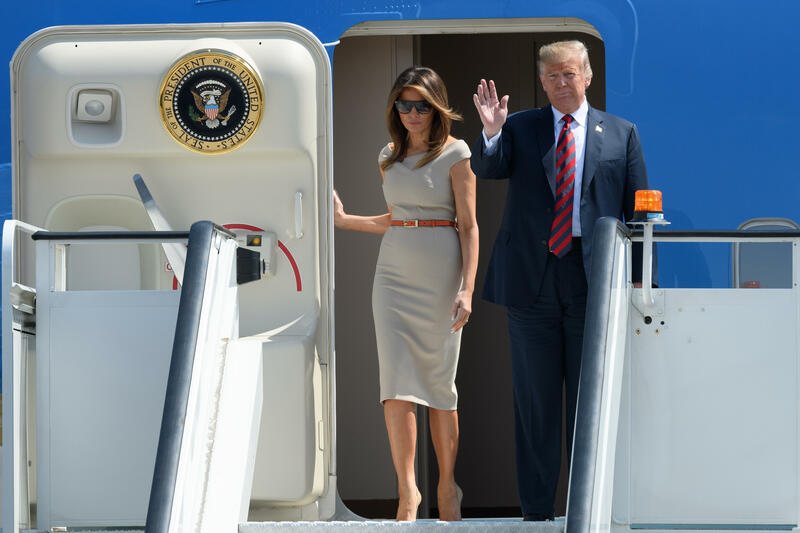 Melania Trump has often traveled solo as well, including on two trips to visit the southern border, where Trump administration policies resulted in the separation of parents from their children. It was the first lady and Trump daughter and top aide Ivanka Trump who urged the president to reverse course on family separations, the president said. CBS News' Sara Cook contributed to this report.